Music/audio is another content vertical like images and videos. People have been going online for years and years looking for music audio and music videos. And today, it still remains one of the most popular niches on the internet. If you work around music, or like sharing music videos or mp3s, you need some serious promotion to make your contributions popular. Social media networks like Facebook can only get you so far. You'll need some more powerful sharing tools working at the back-end to make your music successful. 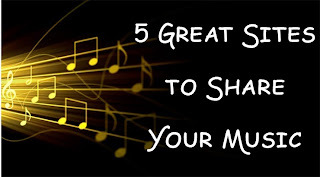 Here are 5 great sites to promote your music online. SoundCloud is my favourite choice for sharing music. Not only is it a great platform for sharing the music you love, it is also a great starting place for new artists to share and stream the music that they produce, with the outside world. 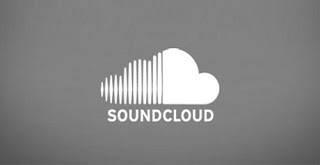 SoundCloud is a Cloud service (as the name suggests), so your sounds are stored online, ready to be accessed from anywhere. And the best part is, SoundCloud provides flawless integration with social networks such as Facebook, so whenever you play a sound, it gets shared in your activity feed. The SoundCloud music player is also easily embeddable online to blogs and websites, so you can easily share your music with your online followers as well. Bandcamp is basically an online music store. But it's a free-to-join website as well where artists can create their own micro sites and post their tracks. People can then stream to those tracks for free, or pay for them for personal use, the money from which goes to the artist (and a little bit to bandcamp, naturally). But while SoundCloud is more user-oriented, Bandcamp has more to do with artists and bands (ergo the name 'band'-camp). It can host photos of the artists, their biographical and contact information, links to website and social media accounts, etc. It even has a section where bands can let their fans in on tour and concert dates. Hence, if you're looking for a serious debut into the music industry, bandcamp is the place you want to be (among other places). 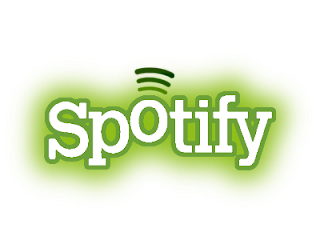 Spotify is a monthly subscription-based music streaming service that offers a large inventory of music people can listen to. For artists, this is another great way to get their names noticed and make some money, and many popular bands such as the Rolling Stones have a presence on Spotify. So this service is a must-have for budding artists wishing to make a name for themselves someday. Yes yes, I know. MySpace died a while ago as a social network. But let's face it, it was MySpace that revolutionized social media and music discovery. And the site is in the process of a major overhaul, and will be relaunched as a socially driven music site. It will allow listeners to easily discover music and artists, and sooner or later, every musician and band will have a MySpace presence. YouTube, of course, remains the video-sharing platform of choice for most internet users. It is, in fact, the largest video sharing website on the internet. Not only is it easily embeddable with blogs and websites, it is fully integrated with other social networks such as Google Plus and Facebook. Every musician and band has a YouTube channel where they upload all of their songs and music videos. Qasim bro thanks for sharing this golden websites..
Its a great collection of websites. I will use them to get traffic to my songs blog. Artisteer 4.1 Licence free for all Readers! Get it now! Music is an art form whose medium is sound and silence. Above sites are really good way to promote music online without any fees. For all Electronic Dance Music, www.electrokill.info is a great platform for promoting free music. With over 13k fans, it gives great exposure to music producers. The most important and very influential website is YouTube. Most musicians ( Justin Bieber) for example used it during his little period when he was not known. He used the site to market himself to the global world. Any upcoming artist should pay much attention to Youtube and spotify. Do you have any idea on how to promote a Lyrics website. Yeah I too would love to know, how a lyrics based website would get traffic & get promoted by. Thanks for the post On Promoting Mobile Apps. You should take part in a contest for one of the best blogs on the web. I will recommend this site! Its a really nice collection of websites. As a musician, your most important goal is of-course to get your music heard. Choosing appropriate music for your promotional package will require some thought. Online is the best way for promote music. There are a lots website where you can promote your music. Music is the language of our soul....therefore we should deliver it in a perfect way. Those websites you have mentioned are most-perfectly doing it.Thanks so much for the amazing music post. Choosing appropriate music for your promotional package will require some thought. Online is the best way for promote music, travel. There are a lots website where you can promote your music. where you can upload your music and have anyone download--quick and easy way to promote your music!